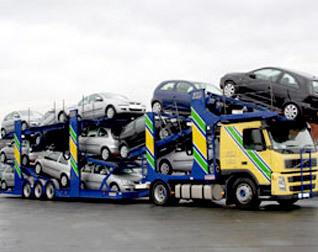 J&P Vehicle Deliveries began transporting vehicles in 1990 and have since evolved into the well respected vehicle delivery company we are today. 17 years of trading has seen a number of business relationships forged that are as strong today as they were in 1990. We pride ourselves on the quality of service we offer. The satisfaction of every individual customer is something we strive to achieve with each vehicle movement. In today’s modern business world, individuals can be very demanding; this is why we stipulate commitment and quality throughout the company from all of our employees, ensuring the requirements of our customers are consistently achieved. We invite customers to provide us with an order for a vehicle movement and we will tailor our vehicle movement process to meet those requirements. At J&P Vehicle Deliveries we see each customer as an extension of our company and therefore value them as highly as we do our own personnel! We provide a variety of car manufacturers, dealerships and car auctions with fast, efficient transport services across the UK. Each handover procedure is tailored to the individual customer.